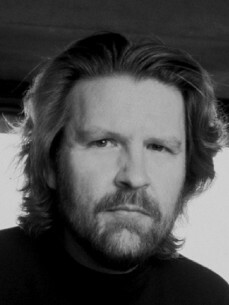 Stephen Webber is an Emmy-winning composer, and the Director of Music Technology Innovation at Berklee College of Music’s Valencia Campus. He is the composer and turntable soloist of the Stylus Symphony, a groundbreaking work that combines a full orchestra with hip-hop, trip-hop and dub step. He’s produced and engineered albums for a wide-range of artists, including a recent collaboration with DJ Premier and Nas for the Re:Generations Music Project, a film professor Webber appeared in alongside Erica Badu, Skrillex, Mos Def, and the Doors. Webber has toured China, Australia, Europe, Central America and the US, and has appeared on CNN, NBC, NPR, and CBS, and in the New York Times and Rolling Stone Magazine. Music Production Analysis, Webber’s course for Berklee Music Online, won 2010’s international “Best Online Course Award” from the University Continuing Education Association. Webber authored Turntable Technique: The Art of the DJ, the first book to teach the turntable as a musical instrument, and DJ Skills: the Ultimate Guide to Mixing and Scratching. His innovative teaching has helped propel his students to the top of the international music charts---garnering multi-platinum records and Grammy awards in pop, rock, hip-hop, jazz, country, bluegrass, folk, classical and Latin categories. A multi-instrumentalist who often contributes guitars, keyboards, banjo, mandolin and turntables to his productions, Stephen has recorded with Mark O’Connor, and Meshell Ndegeocello, and performed with Bela Fleck, Grandmixer DXT, and Emmylou Harris. Webber has designed several recording studios, conducted film scores at Lucasfilm’s Skywalker Ranch, and authored dozens of articles and cover stories for Mix Magazine, Re-mix, and Electronic Musician.